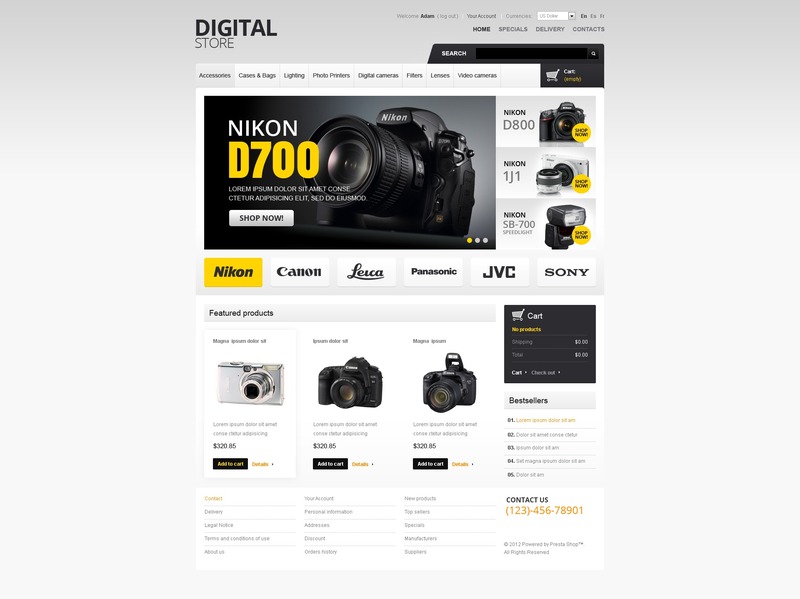 Surprise your customers with professional highly functional online store. Yellow tags and elements stand out against black and white layout. Slider and banners promote the latest camera models. Trusted brand names are positioned above the Featured products section. Right sidebar and footer are widgetized.